About us: We are the Korean pioneers of Third Party Logistics Services (3PL) in India, our service solutions are designed to provide end to end supply chain solutions to a wide spectrum of industry segments. 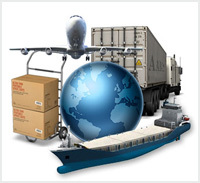 Our solutions are designed to speed up the transporting and logistical requirements of the company. We also provide Pan-India Warehousing, inventory optimization and advanced communication solutions for better and more efficient services.